Pleated cardboard filter, also called inertial pleated filter, is very common for overspray filtration in all kinds of paint booths/ spray booths. 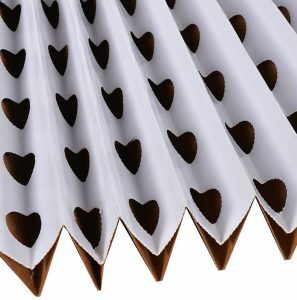 Pleated cardboard filter is ideal for receiving any wet and aerosol particles (paints, varnishes, gels, adhesive, silicone, etc ), widely used as the first barrier for overspray collecting, followed by Paint stop filters. 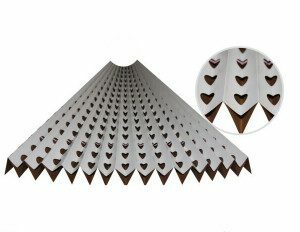 Our pleated cardboard filters are made from environmental rigid kraft paper, according to venture effect, we manufacture the paper into V-shaped groove complex structure, which is composed of a double layer of pleated cardboard with alternating holes. The holes are positioned to maintain a constant airflow. Thanks to accordions fold, our pleated cardboard filters last 3 to 5 times longer than Paint stop filters, pleated cardboard filters are very easy to install, replace, and storage, which means minimum maintenance costs, as the most economical paint booth exhaust filters on the market, some customers choose these filters as a cheap solution for overspray section. For your reference, there are pleated cardboard filters with one layer of synthetic filter media in the middle. Our pleated cardboard filters are with good quality and reasonable price, if you are looking for pleated cardboard filters manufacturer in China, we are your best choice.